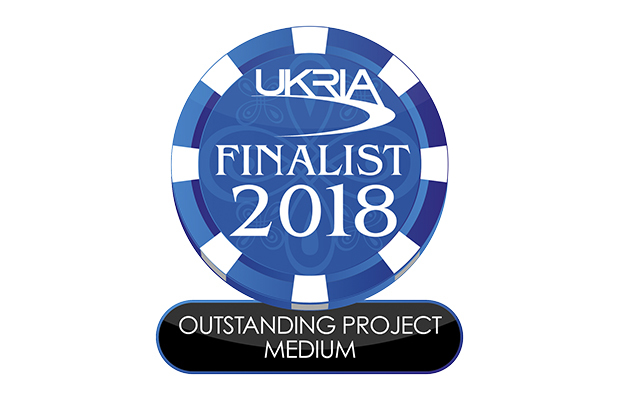 Story Contracting are proud to announce that two of our recent projects have been shortlisted for the Outstanding Project of the Year Award (Medium) at the UK Rail Industry Awards (UKRIA). The two projects shortlisted are our emergency repair works for Network Rail at Eden Brows on the Carlisle to Settle line, and track slab renewal works on the Mersey Loop underground line in Liverpool. Repair works were undertaken on the Carlisle to Settle railway following a 500,000 tonne landslip in February 2016, closing the line near Armathwaite. Works took 14 months to complete and included removing 16,000t of spoil, installing 226 piles (4040m worth), 490m of track and a 75m long 1m thick reinforced concrete slab. Read more about the Eden Brows repair works here. Our works on Phases 8 & 9 of the Mersey Loop underground line in Liverpool for Network Rail were carried out over a 5 months period, with the project team implementing 24 hour working to ensure the railway could be handed back on time and on budget. The conventional 12 hour shifts were replaced with 2 10 hour shifts overlapping by an hour, and a nightly maintenance shift of 8 hours. Over 90,000 man hours were worked during the project with 170m3 of concrete pumped into position and over 1.2km of track slab renewed. Read more about the Mersey Loop project here.